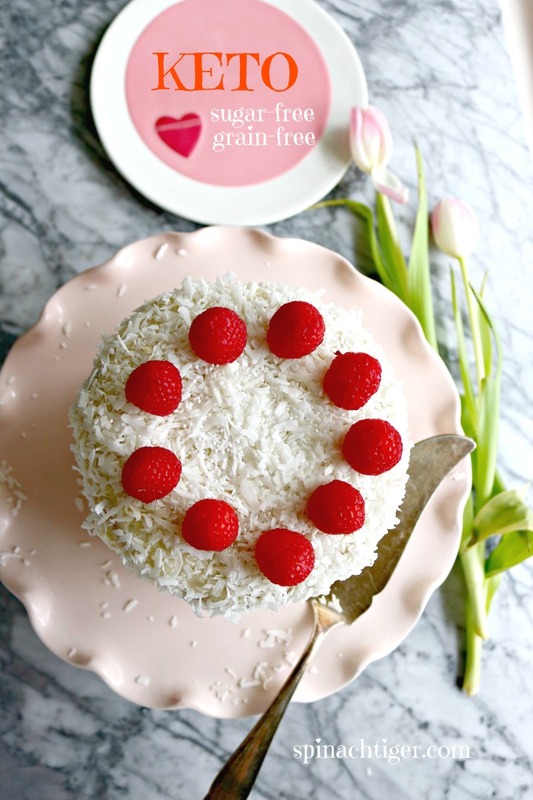 Triple layer keto friendly coconut cake recipe is my favorite celebratory cake. This is the cake the whole family will love and even those not following a low-carb diet. It has a seriously good coconut flavor, a moist (but not eggy) texture and doesn’t taste sugar free (no after taste). We recently had our bathroom remodeled and the contractor saw the cake and asked for a piece. I told him that this was as sugar free cake made with coconut flour. He LOVED it. This makes me feel so good about making keto friendly desserts that are good enough to get cheers from everyone. Spinach Tiger has a lot of coconut cake recipes here. I love them all, but I have to tell you, even Retro Rose loved this cake and she never eats anything gluten free! 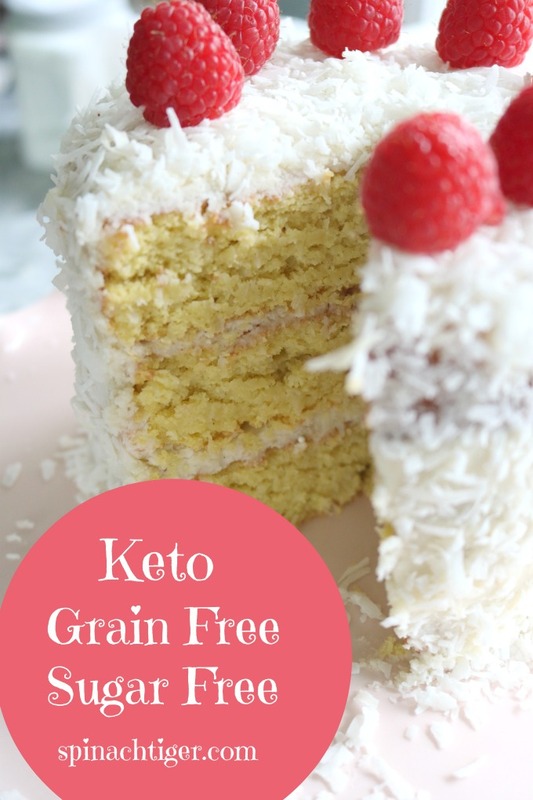 I have reworked my Keto coconut cake recipe from last year by adding in the full fat coconut milk, which gives this cake flavor and a nice texture. 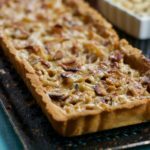 I make a LOT of keto friendly desserts and I get a lot of questions, especially about ingredients. 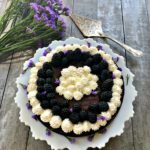 How can a cake this good be keto friendly? It has to do with the grain free low-carb coconut flour and and sugar replacement, Swerve. Swerve Sweetie is a small company out of New Orleans that produces it’s own brand of powdered erythritol. They make a granulated version, a confectioner’s version, and a brown sugar version. 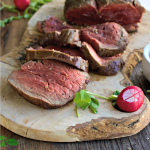 It has a net zero carb effect, does not spike blood sugar. What’s the difference between carbs and net carbs? Net carbs are typically carbs minus the fiber when people on a keto diet refer to their macros. In the case of erythritol, the sugar alcohols don’t make any carb impact in the body, so you can count them as zero. I’ve often wondered about this, but I have eaten a dessert every day for over a year and have lost weight. That would not happen with a sugar-made dessert. Where do you buy Swerve? This is the number question people ask me. You can find it at your grocery store, or you can order it here on Amazon. 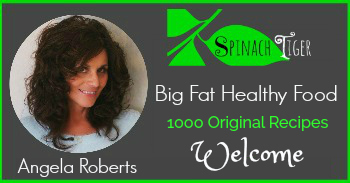 Disclosure: I am an affiliate and will earn a small commission on all sales from Amazon. I thank you for any orders, and know that your price is not changed. What kind of pans do I use for this cake? I love making this as a smaller triple layer cake using these six inch pans. I like this set from Wilton. You can make this same cake as a 9 inch double layer cake. 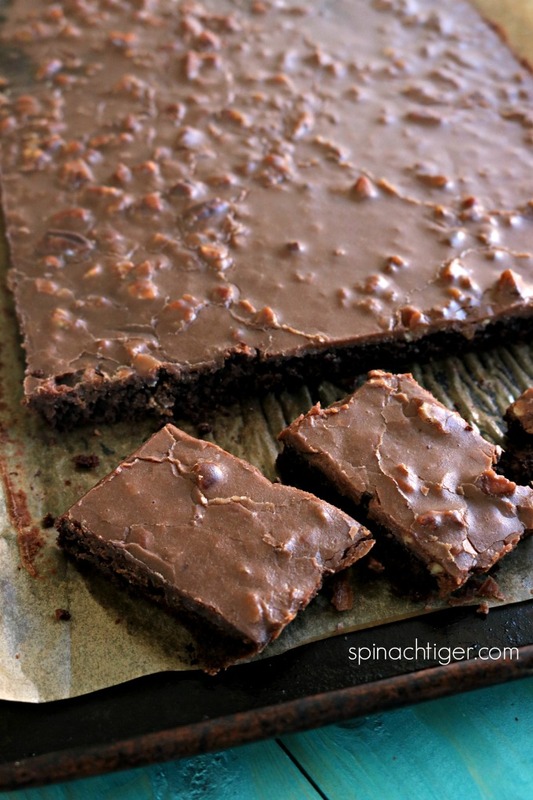 You could also cut this recipe in half and make cupcakes or a one layer cake. What kind of coconut flour do you use? Sometimes I buy it out of the bin at Whole Foods, but I also like Anthony’s you can buy on Amazon. 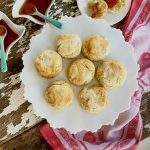 Why do I use xanthan gum in keto baking? Xanthan gum helps hold alternative flours together by adding the elasticity you would get from gluten. You can skip this in the recipe, but the cake could be more crumblier. You can order xanthan gum here on Amazon or find it at your grocery store. What is the difference between sweetened and unsweetened coconut? 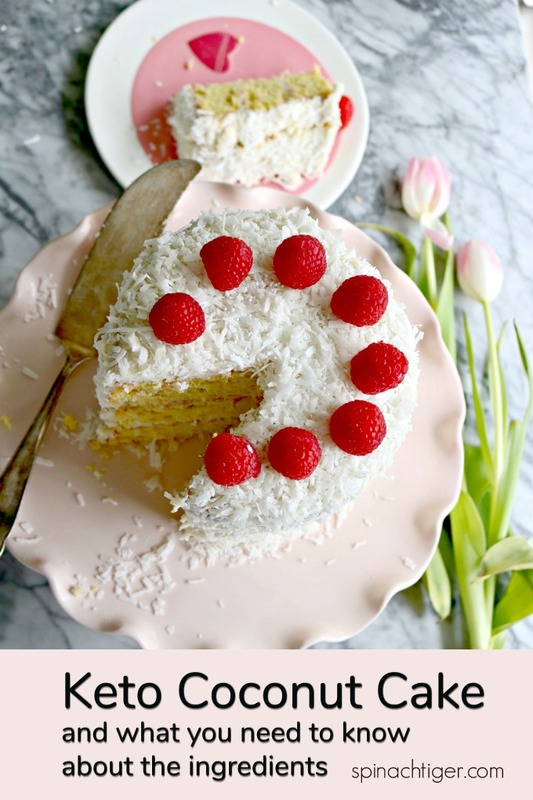 This triple layer coconut cake recipe calls for unsweetened coconut because we are cutting the sugar. Sweetened coconut has sugar added to coconut before it dries, remaining more moist, sweeter with a stronger coconut flavor. Unsweetened coconut is dried coconut, which comes in small pieces or large coconut flakes. 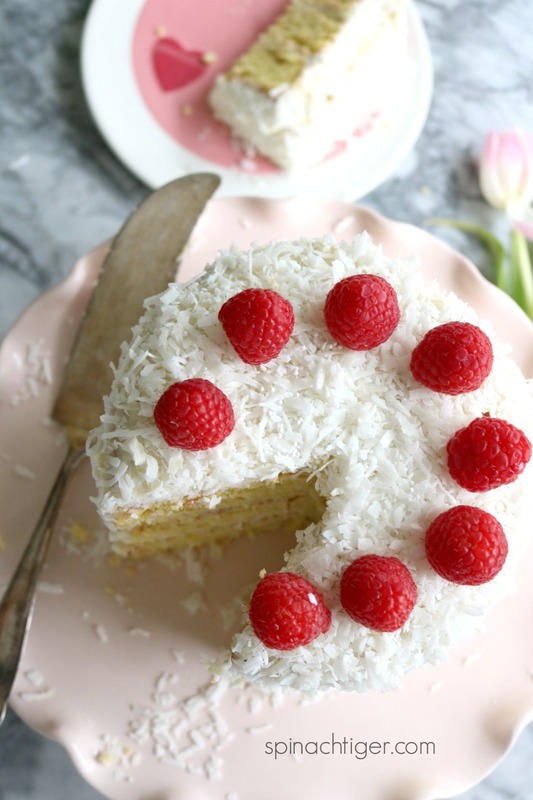 It has a milder coconut flavor, but adds coconut texture. I like the Anthony’s Organic Shredded Coconut (amazon). 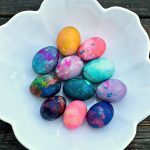 Why are there so many eggs in this recipe? Coconut flour absorbs liquid more than other flours. I use 2 eggs per 1/4 cup of coconut flour in my recipes. 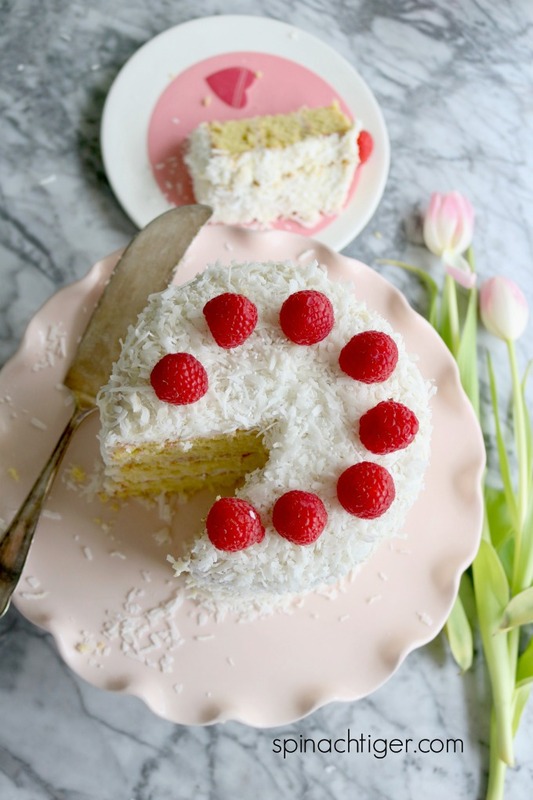 For this keto coconut cake, separating the eggs and beating the egg whites helps the cake rise and be less dense. 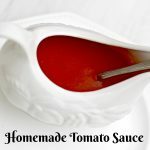 Why do I use stevia glycerite in this recipe while using swerve? Swerve is powdered erythritol and the stevia glycerite drops work WITH this sweetener well, combatting the cooling effect of swerve. Stevia glycerite is different from liquid stevia, less bitter. What is the carb content of this triple layer cake? Calculating at 12 servings, there are 7 net carbs. This is a high calorie cake at over 600 calories per piece, and is recommended as a special occasion cake and would be wonderful at Easter time. If this concern you, make 24 cupcakes which reduces that quite a bit and is good for portion control. 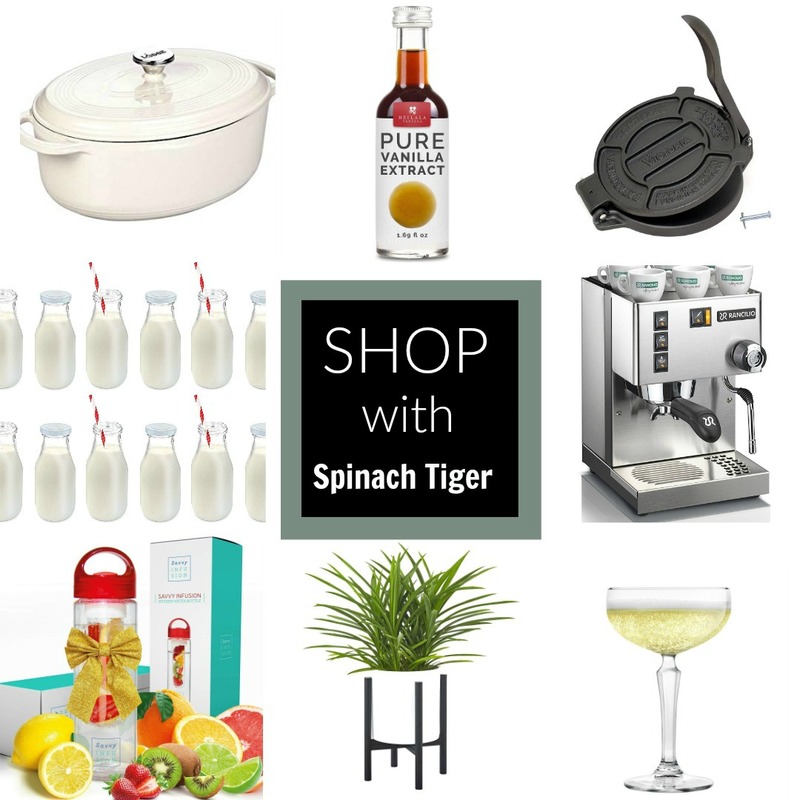 Spinach Tiger has an amazon shop with all my recommended kitchen tools and groceries. SHOP HERE.